James' own LFJ862W is looking fantastic these days, seen here on Torquay Sea Front. Not long now until the 1st Torbay Vintage Bus Running Day that is being organised by myself and colleagues at the Devon and Dorset Group. First of all I would like to extend a huge thanks to my friends at Torbay Council and Stagecoach South West for huge amounts of assistance, both organisations have been extremely helpful and without their offers of help and assistance this event simply would not be happening! The entries for the day are growing, we have an excellent variety of both local vehicles and vehicles from further afield, PSV’s of all types are promised and we look forward to welcoming all of them to the event. 28A – Torquay Sea Front to Hesketh Crescent, via Torquay Harbour, this will have a small layover at Hesketh Crescent to allow enough time for photo taking etc at this very scenic location for photos, or you might like to stroll down to Meadfoot Beach and enjoy the views before returning on another bus a little later. 136 – Torquay Sea Front to Paignton, the service to Paignton had to be included as we feel that the trunk route between Torquay and Paignton has a significant historical importance, the service will run to the Town Centre and will stop at Hyde Road, for a short layover before returning to Torquay, it will serve the Harbour area on its return to the Sea Front for those wishing to alight or board after taking in the delights of the busy harbour area. 109 – Torquay Sea Front to Occombe Farm, this service will be terminating in the Car Park for Occombe Farm, this is a local farm that has a small shop selling locally produced goods, as well as a Coffee Shop and restaurant for those looking for a leisurely lunch on the day, and for those visiting as a family, you might like to have a wonder round and enjoy the farm animals that can be visited on site, this service operates via Headland Road and Preston Down Road, this service will offer some spectacular views across the Bay that are best viewed from the top deck of a bus, this route really is not to be missed! The above service will operate on a regular service throughout the day! We are also operating two further routes that will operate only a few times throughout the day, so try not to miss these routes!!! 18 – Torquay Sea Front to Broadsands Viaduct, this service will operate via Paignton Sea Front and will terminate at the old terminus of the old open top route at Broadsands, the vehicle will park as close to the viaduct as possible and will present some excellent photographic opportunities. 50 – Torquay Sea Front to St Marychurch, it is hoped that this route will be operated with smaller vehicles, as this will run to Hesketh Crescent and then carry on along Meadfoot Beach, Ilsham Valley, Wellswood before rejoining the main road before turning off and running right along Babbacombe Downs, on a clear day you can see right across towards Portland and Weymouth, so some great views can be taken in, this service will stop at Furrough Cross in St Marychurch before returning down the main road and back around Ilsham, Meadfoot, Hesketh Crescent and back towards Torquay Sea Front. 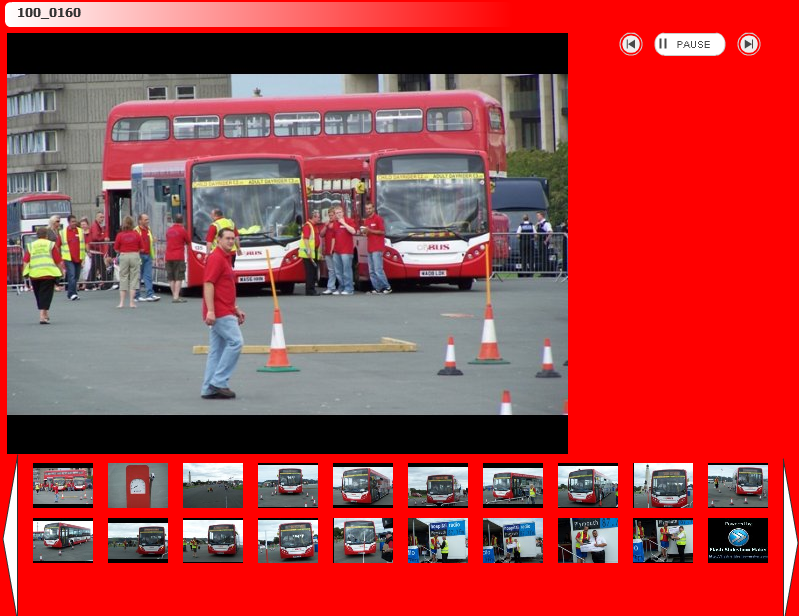 All routes should have a wide variety of vehicles running on them from minibuses to half cab double deckers and lots in between and with a bit of luck one or two open top vehicles as well hopefully! Our principal sponsors Stagecoach South West are hoping to bring along one of the brand new Optare Versa vehicles for display to the public, as well as some other vehicles from the fleet. We will also be pleased to welcome some of the children from the local special needs play group, these children suffer from a wide variety of illnesses and conditions, and would not normally be able to access public transport, but they will be having there very own preserved bus for a ride around Torquay, this is in line with our ‘giving it a community feel’ principals, having been and visited the children, I just know they will really enjoy this part of the event! 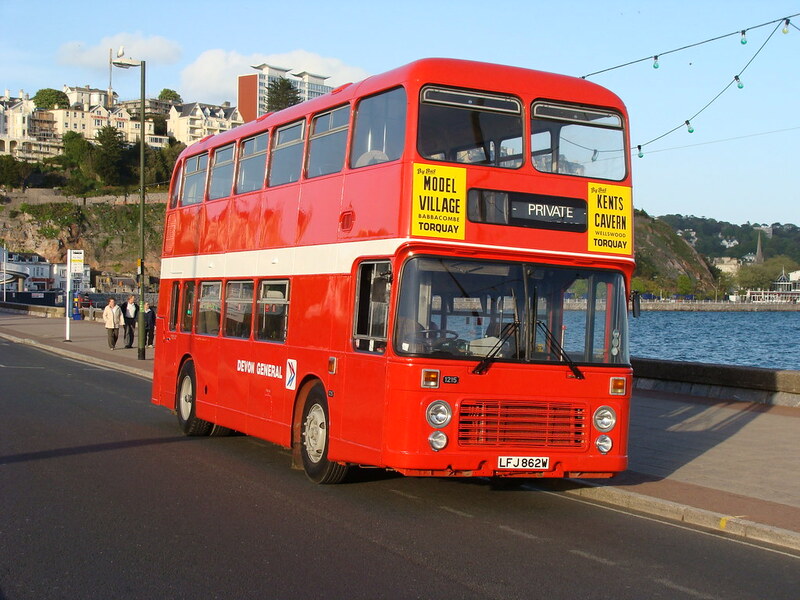 The event will have a static display of vehicles at our Shedden Hill Car Park site on the day but the running buses will start and finish on the Sea Front itself, right opposite the high flyer balloon. We hope that you are considering coming along on the day and if you do, then please, do purchase one of our souvenier programme, these are priced at only £3 per copy and will give you a list of the vehicles and brief histories of the vehicles attending on the day as well as your timetables and various other interesting bits and bobs. If you are a vehicle owner and have not yet entered then please get your entry in ASAP, entry forms can be downloaded from our website. And if any of you out there would like to offer some assistance on the day then please drop me a mail, doesn’t matter how much time you can contribute on the day, whether its an hour or all day, your help is always appreciated, so why not offer some time and come along and see how these events are organised and how much effort goes into the preparation for the day as well as the day itself, or maybe you might like to be a navigator on the day? Some of our entries for the running day itself wont be too familiar with Torbay, but you might be, if so, then volunteer to help!!!! Many thanks, James Pratt on behalf of the event organising team, Devon and Dorset Group.